Create your TOPModel. 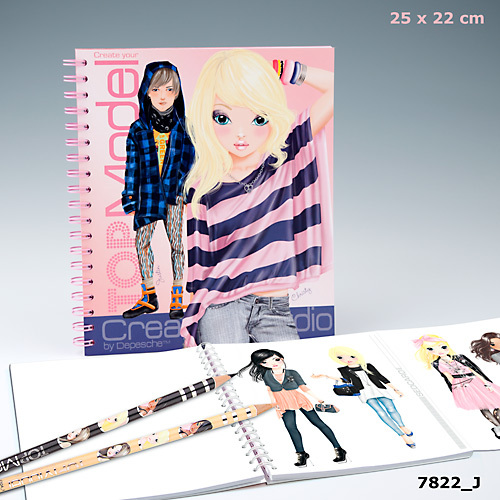 If you love fashion and create your own designs, do it on this notebook and its models. Different models where compile the outline of your future designs. Topmodel Create your notebook is the ideal place to realize your first ideas of how you want to be your own. Color, draw, cross on the models you have in each leaf, and until it is finished not show it to anyone, that's how they started the big fashion. Furthermore, this book is a good way to have sorted all your drawings. Create your notebook measures Topmodel: 22.5 x 22.5 x 2 cm.